The Mount Hood Conference track and field scene has shifted with last year's dual-meet champion Oregon City moving back to the Three Rivers League, leaving an opening to be filled with the return of Sandy High — last year's 5A state champs. Track and field has long been one of Sandy's premier sports, making the Pioneers an immediate contender for the team title. Despite graduating a pair of first-place finishes, Sandy returns with plenty of talent to pile up points at the 6A level. "For me it's like moving away for awhile and coming back to the same neighborhood," Sandy coach Anouxa Vixathep said. "There are a lot of the same coaches around from back when we were in the Mount Hood before. We'll see how it goes, but I don't see a major difference being back at 6A." Central Catholic should also be a force despite graduating more than half of their 179 points from last year's dominating district-meet victory. The Rams still feature the state's top javelin thrower in junior Joseph Nizich, along with its always formidable distance crew that has won six of the last seven 6A cross country titles. The Eagles are the eastside team most likely to challenge for the MHC crown behind standout sprint Jimmie Barton, who finished third in state in the 100-meter dash as a sophomore. He also runs the 200 and powers the relays. "He's gotten a lot stronger and is just getting better," Centennial coach Greg Letts said. "He is working on his start, but he already closes a race really well. He is very strong all the way through the line." Nick Garcia, Aleck Gabriel and Kahleed McCallister provide depth to the sprint crew and give the Eagles perhaps the quickest short relay in the league. Distance runner Jason DeLeon made the district podium in two events as a sophomore, while senior Gabe Talbert is a top returner in the hurdles. Sophomore Aye Doh Chan registered the top rookie time in the state last season in the high hurdles and junior Tui Laithang won the novice high hurdles. Junior Alex Ibarra leads the field crew after placing fourth in the javelin last year. He is also capable of scoring in the high jump and pole vault. "He has a great attitude and comes to practice ready to work on whatever event he is assigned that day," Letts said. "The last couple years we've lost some close duals to Oregon City and Central, but we expect to be battling right up there again this dual season," Letts said. "We have competitive people across all of the events." Barlow is facing a rare struggle with numbers this year, getting about half its normal turnout. Construction on a campus stadium has meant shuttling across town to Gresham High where they spent an hour in the library for a study session while waiting for the track to become available for evening practices that wrap up around 7 p.m.
"Our new stadium will be really great in the long run, but right now it's been tough trying to get kids out," Barlow coach Scott Jones said. Leading this year's crew is junior Conrad Greeley, who landed on the district podium in the pole vault and long jump last year. The Bruins also bring back senior Nathaniel Koenig in the shot put and discus. "He's technically sound, explosive and just a competitor," Jones said. "Our seniors all have that characteristic. They are multi-sport athletes, who are team guys." On the track, the Bruins are looking to their distance crew in Charlie Bailey, Jacob Ropp and Cade Kooch to supply some points after making it to state during the cross country season. Senior Jobi Malary is back in the sprints and Jonathan Bacon picked up district points in the high hurdles last year. The Scots are looking for big things from senior distance runner Josh Scheetz who made the district podium in the 800 and 3,000 last year. "All three distance races are an option for him," David Douglas coach Isaac Frederick said. "He has naturally good foot speed, and he's done a good job holding himself accountable to putting in the winter mileage." The Scots also look to senior sprinters Brogan Ayers and Naatoli Mohammed to provide points after both reached the 400 final last year. "Our 4-by-4 relay has been pretty solid over the years, and those athletes can cover a lot of events, which is a big help," Frederick said. The jumps appear to be the Scots' strength in the field, led by senior Romeo Manue. The Gophers return the potent middle-distance combination of seniors Joel Yasin and Fidel Flores, who went 1-2 in the 800 at district last year. 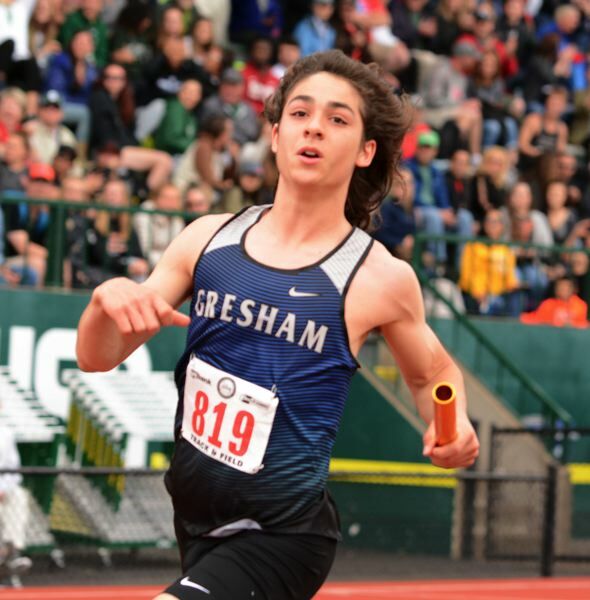 Yasin also plays a key role on both Gresham relays. 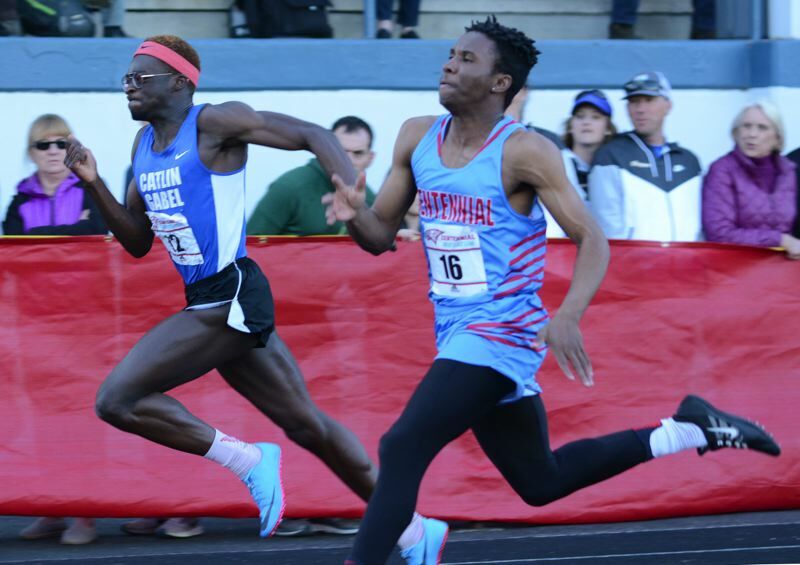 Based on last year's roster, Gresham also looks to get points from senior Lucas Rhinevault in the sprints, while Miles Green made the podium in the novice meet in the long-distance races as a rookie, and sophomore Quintin Clark won the triple jump. The Raiders return senior D'Andre Katz in the hurdles, who led the team with 11 points at last year's district meet. Based on last year's roster, other top returners include Leonardo Lozano and Travis Dickson in the throws, Nick Haynes in the high jump and Emeka Egbo in the distance races. Sophomore Brandon Jensen placed in the hurdles and pole vault at the novice meet as a rookie. Look for our MHC girls track and field preview in Friday's March 22, edition. Events won by Central Catholic, which piled up 179 team points to claim last year's district meet title. Number of dual-meet wins last season for Centennial sprinter Jimmie Barton, who is the MHC's top returning scorer. Points scored on its way to last year's 5A state title by Sandy, which returns to the Mount Hood Conference this season. This season preview is slated for our Tuesday, March 19, print edition.